With so many beauty brands in the blogosphere its rare that you come across something unique and quirky, I thought that until I discovered Mad Beauty. 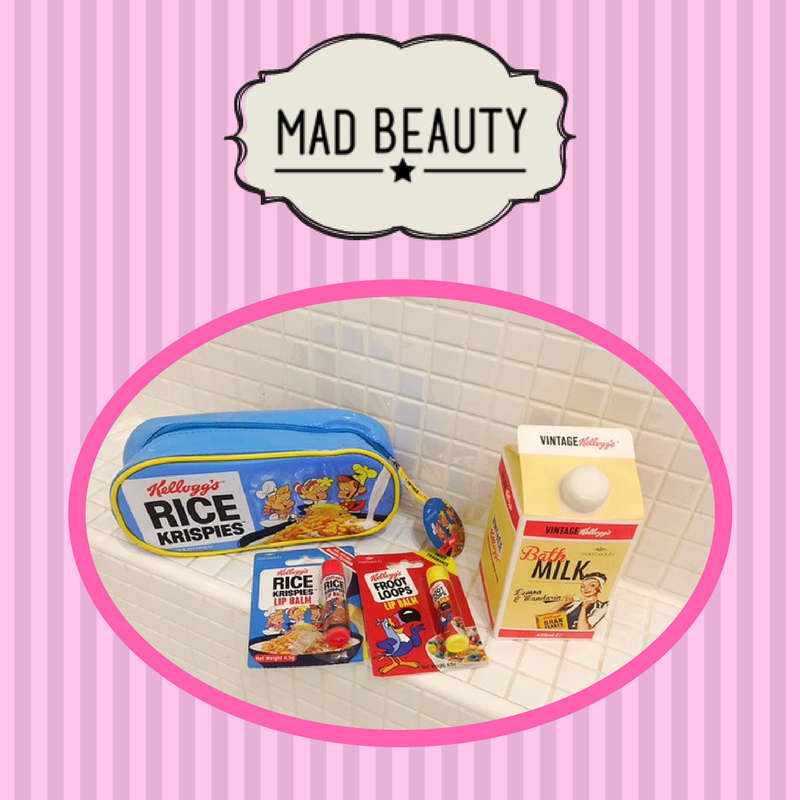 A beauty brand that takes me back to my youth with its vintage inspired Kelloggs and Disney products all starting from 99p! Not only are the prices reasonable but they are launching new ranges all the time including jelly belly and slush puppie. In addition to this they even have their own branded beauty products, including hand sanitizers, cosmetic bags, nail varnishes, lip glosses and so much more! If you're an eager beaver you can even start getting prepared for Christmas (148 days away) with their lovely gifts or if you just want a cute gift for a birthday there is so much choice. 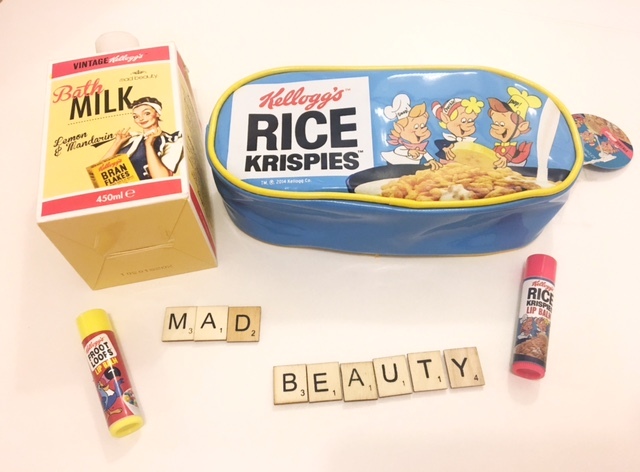 On the blog today, I am reviewing some of the vintage Kelloggs products from Mad Beauty including two lip balms (£2.99 each), a beauty bag (£6.99) and bath milk (£.6.99). When I was younger, I grew up with Kelloggs cereal my favourite being coco pops and frosties and of course everyone remembers the rice krispies advert with Snap, Crackle and Pop such a classic! 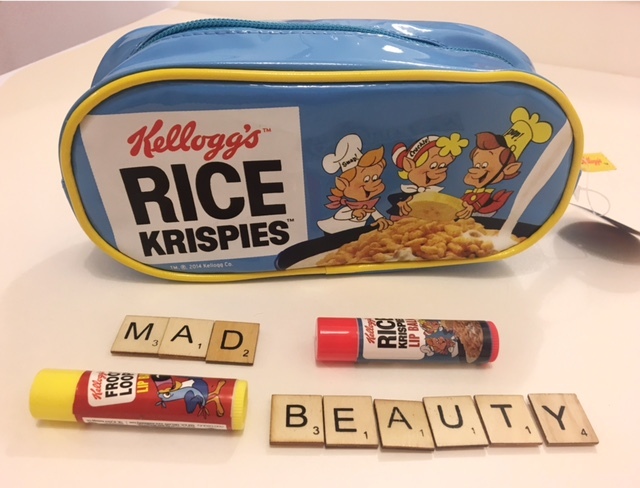 Featuring the rice krispies print, I have a super cute beauty bag in blue which is perfect for my stationary at work or putting in small make-up when I'm going away for the weekend. I was also gifted these lip balms, one in a rice krispie banana flavour and the other a fruity "Fruit Loops" flavour which is another Kelloggs cereal that I have never actually tried! Both smell delicious enough to eat! 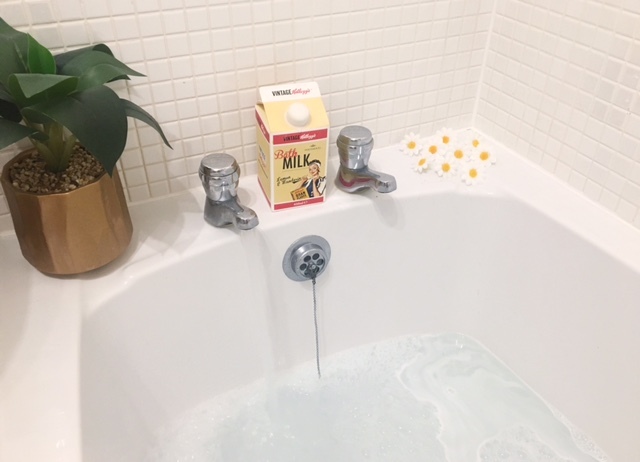 The final beauty product from Mad Beauty is bath milk in a lemon and mandarin flavour which smells amazing, of course I had to have a bath so I could try it out. 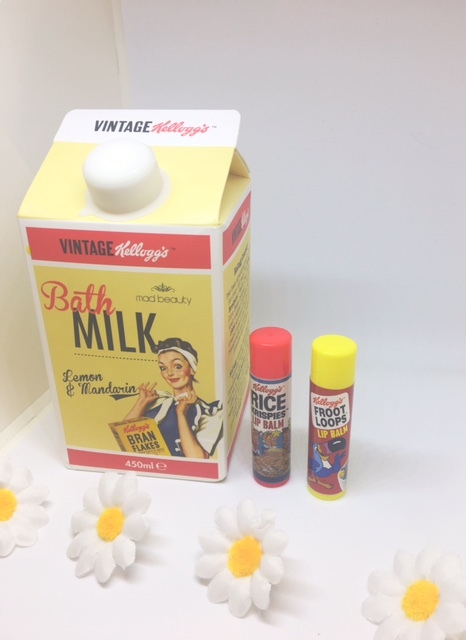 This bath product is in a cute old fashioned milk carton and comes in another fragrance: tuberose and jasmine. As you can see from the pictures, all the designs on the Mad Beauty products are absolutely fabulous, I now know where I am going to buy budget friendly presents for friends and family. This is so cute and original. And it looks vintage too. This is so darn cute and unique! Love the packaging! Very cute and unique.